Landscaping can involve much trial and error, but some plants are just born bad. 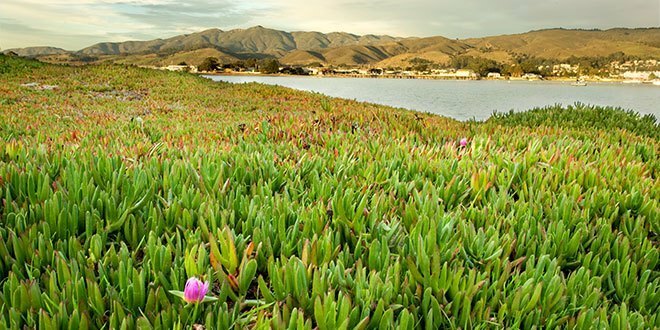 Some of the most common landscaping features are also invasive species, messy tenants or even potential dangers for your home’s utilities. Stop yourself before you can plant these offenders. 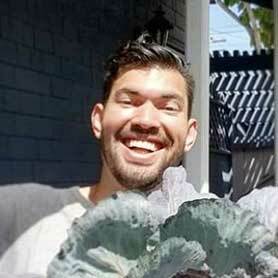 After you’ve cleared your yard of some of the worst offenders, consider some sustainable landscaping techniques. A house with ivy-covered walls is charming, but appearances are deceiving. 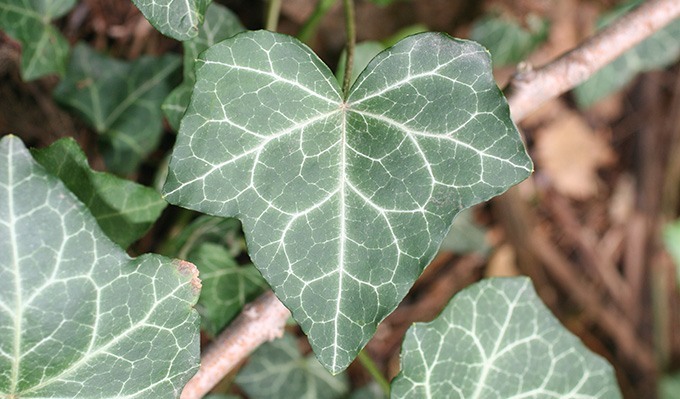 English ivy is a viciously invasive plant. 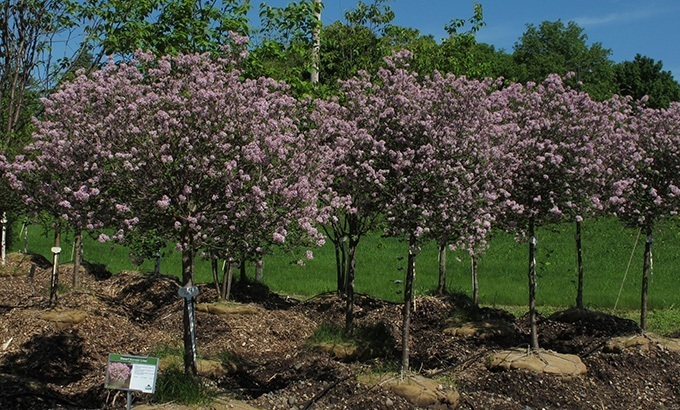 At best, it can take over your yard with little chance of reclamation. At worst, its roots can wriggle into and break apart brick, mortar, fencing and even concrete. Japanese barberry is readily sold at home improvement centers as a “deer-resistant” plant, and well-meaning gardeners often think of its berries as food for wildlife. Unfortunately, it is taking over native species along the East Coast. Look for native berry-producers instead. Sweetgum trees are valuable shade plants, but unless you want to spend most of the year raking up its seed pods, it is best to avoid it. Its pom-pom-like pods are spike traps waiting to befall the feet of children and pets. 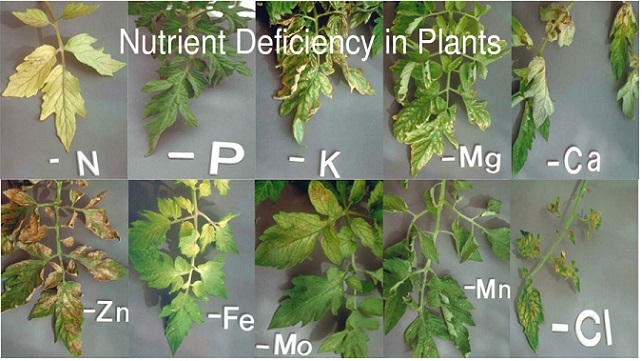 Even non-fruiting varieties pose a threat to walkways and patios. Its long-reaching roots are notorious for cracking concrete. 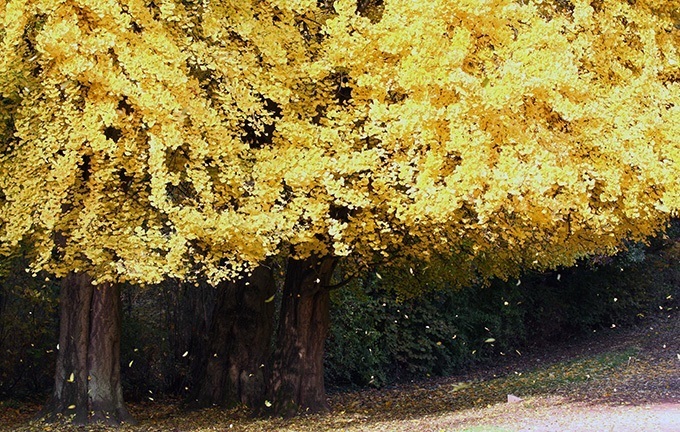 Be careful when purchasing gingko trees. 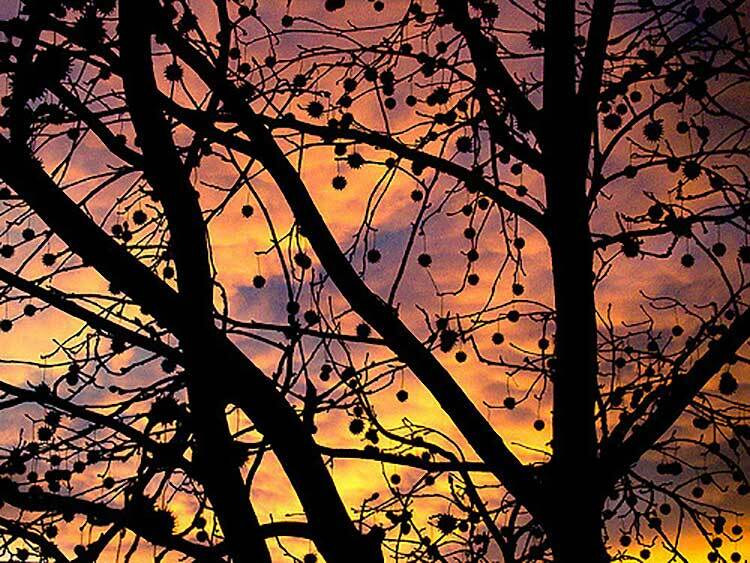 “Male” gingkos are fine, but “female” trees are fruit-bearing nightmares. Gingko fruits prolifically, and the fruit’s pungent odor has been described as “repulsive” at best. Attempting to clean up the fallen fruits will impregnate your skin and clothes with the smell. 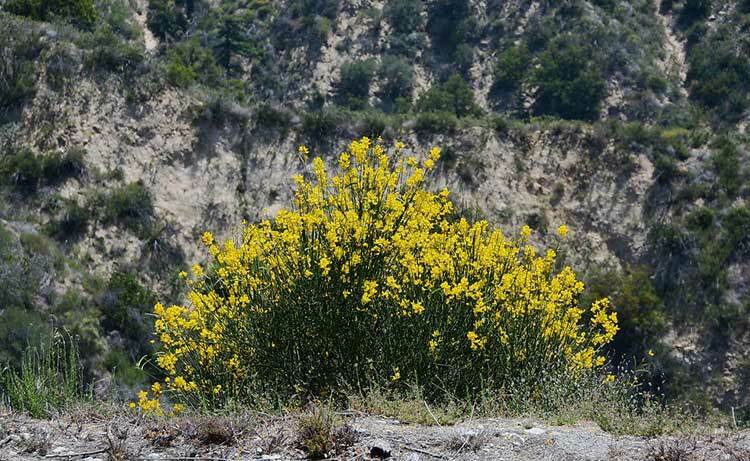 The bright yellow blooms of scotch broom are an alluring trap. 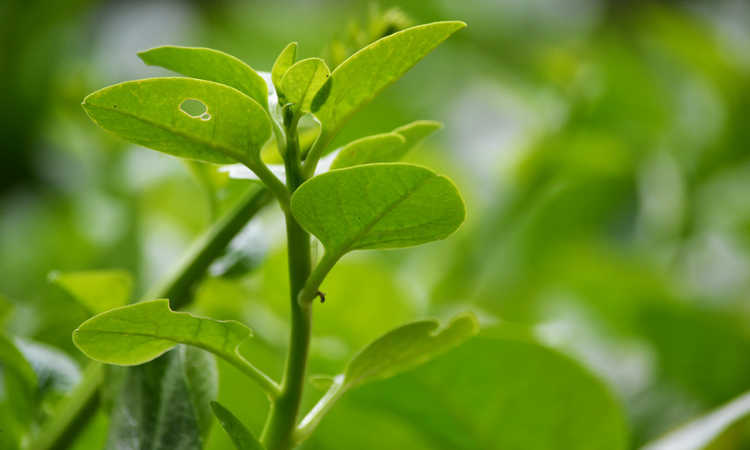 It is classified as a noxious weed in four countries. Its biggest crime is sabotaging reforestation efforts by out-competing tree seedlings. 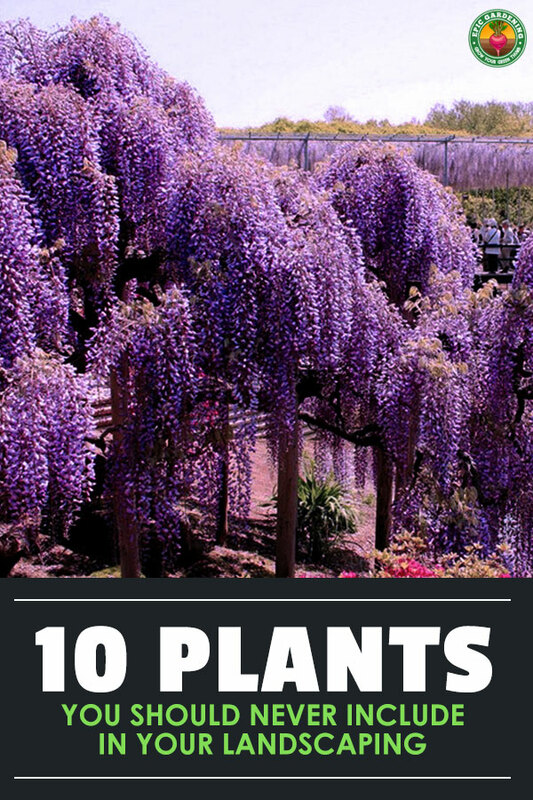 It is easy to lull yourself into the idea that you can keep a wisteria under control. Resist temptation. 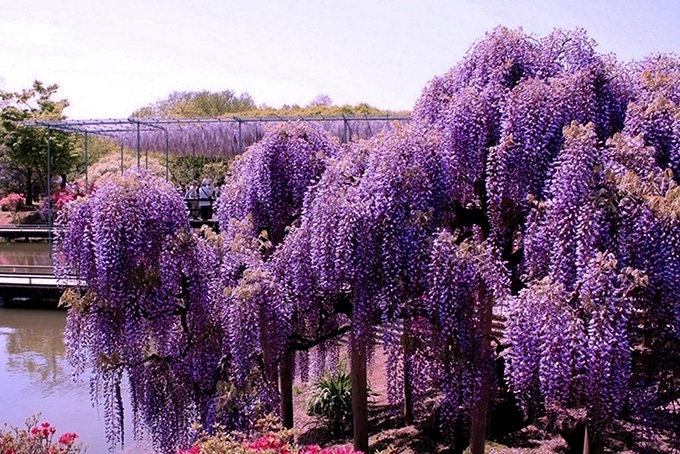 Every species of wisteria is invasive, and it takes constant pruning to prevent it from spreading. Even the most vigilant gardener is bound to miss a runner and find their garden slowly swallowed up. Like wisteria, periwinkle is a never-ending chore. 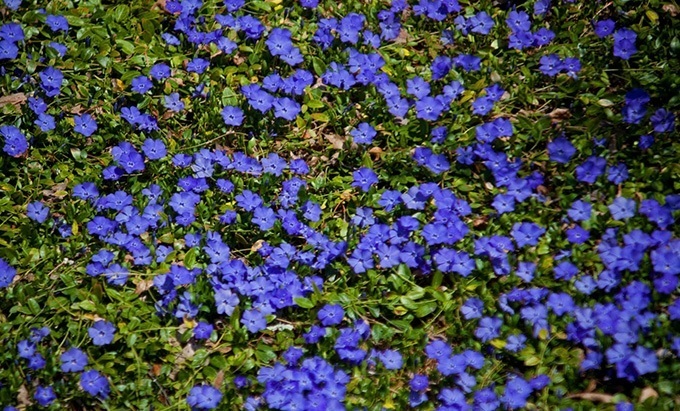 Vinca major and minor, the most common varieties, are rapid growers that form enormous underground root masses. 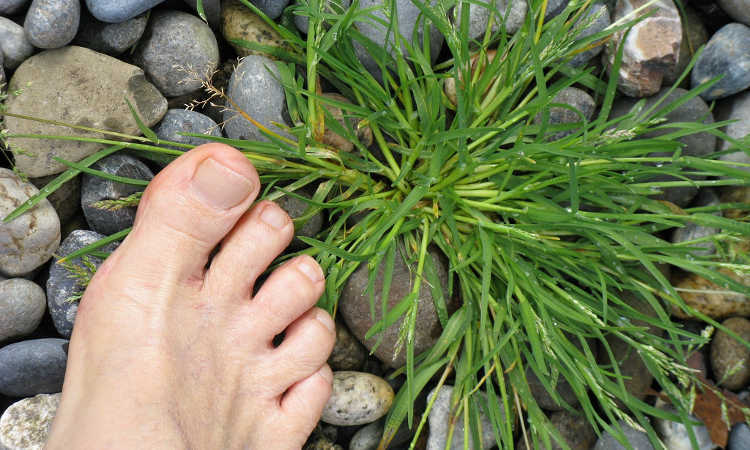 They will overtake planting beds if given the chance, and if they escape your yard, they will out-compete native plants before you can stop them. 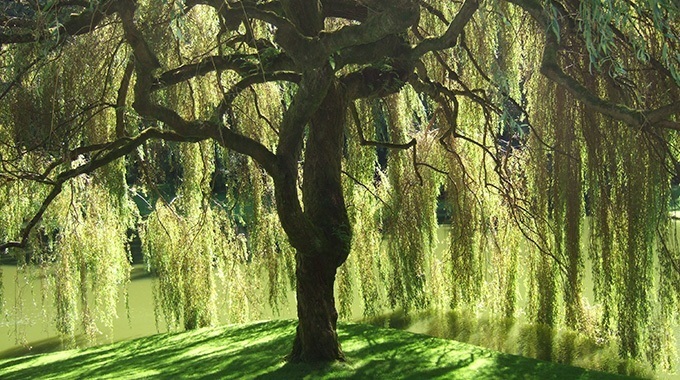 Willows are not a “never ever” plant, but planting location is everything. Willow roots seek out water like moths to a flame, and they will break up pipes to do it. Irrigation lines, septic tanks and even main water lines are not safe. 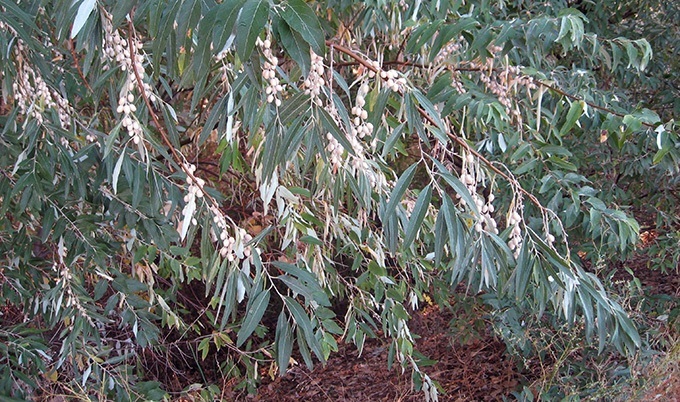 If you want a willow, plant it far away from pipes and near an ample water source. 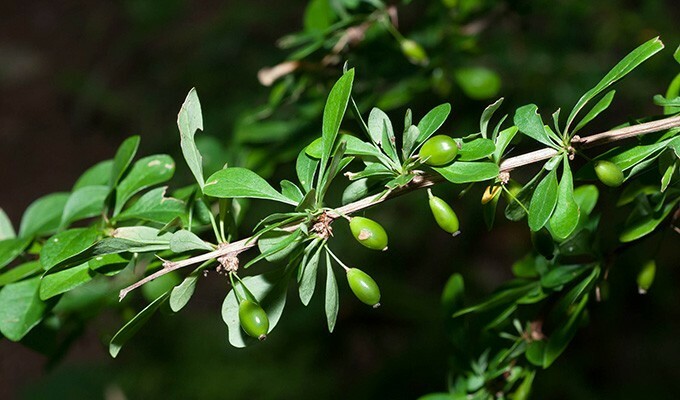 Often used in privacy screening hedges, Russian olive is considered an invasive species by U.S. Department of Agriculture. It quickly crowds out native species, and it is nearly impossible to kill without powerful herbicides. Even professional landscapers are guilty of this mistake. Do not be charmed by any nursery tag’s claims of “compact” or “dwarf” sizes. Do your own research and find out the maximum height and width of every tree, shrub or other planting before you tuck it close to your home. Ten years from now, you do not want your roof’s integrity threatened by looming branches. #11 – ornamental bamboo. Trust me on this! The only “easy” method I have heard of, to rid yourself of this, is to dig a 2-3 foot wide, 2 foot deep moat, around the plants (so the rhizomes cannot spread easily), then water the daylights out of it. Once it reaches the end of its life cycle, you can hopefully dig the remainder out of the ground, and be done with it. ….unless you allowed a rhizome to get past your moat, that is!